Online Only Auction - Only $25,000 Starting Bid! Bidding will close on Wednesday, March 27, 2019 at 10:00 a.m.
Buyer’s Premium: 10% Buyer’s Premium based on the high bid. Deposit Amount: $5,000 non-refundable down payment, by wire transfer or certified funds made payable to Surety Title Company, LLC, due within 24 hours following close of auction. Broker Co-Op: 2% of the bid price will be paid as a buyer broker commission to the broker representing a purchaser on any auction property. 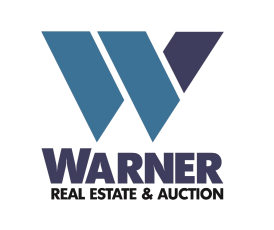 Agency Disclosure: Warner Real Estate & Auction Company represents the seller in this real estate transaction.